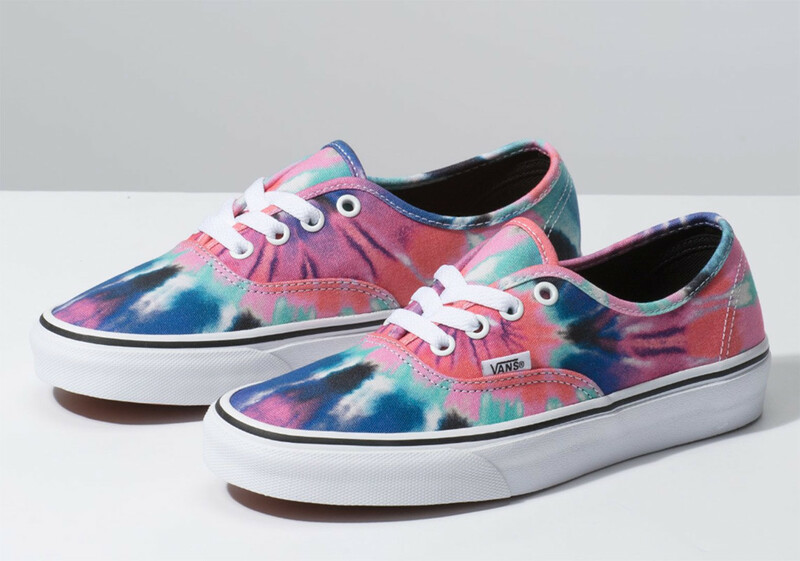 Vans' new tie-dye collection nods to the Grateful Dead. 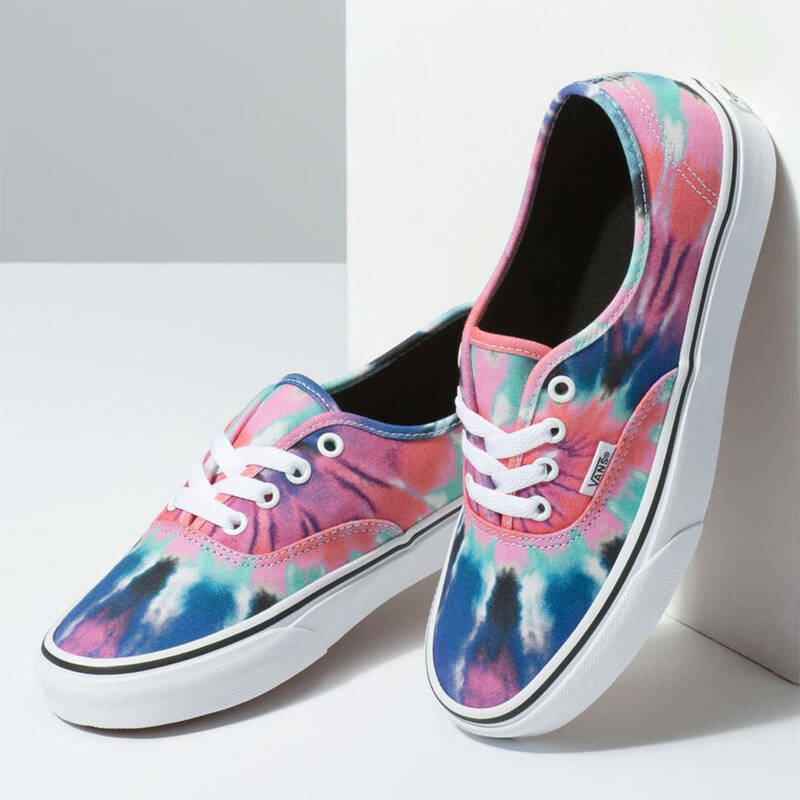 Vans has a new tie-dye sneaker pack up for grabs today, perfect for all of the "Dead Heads" in the world. 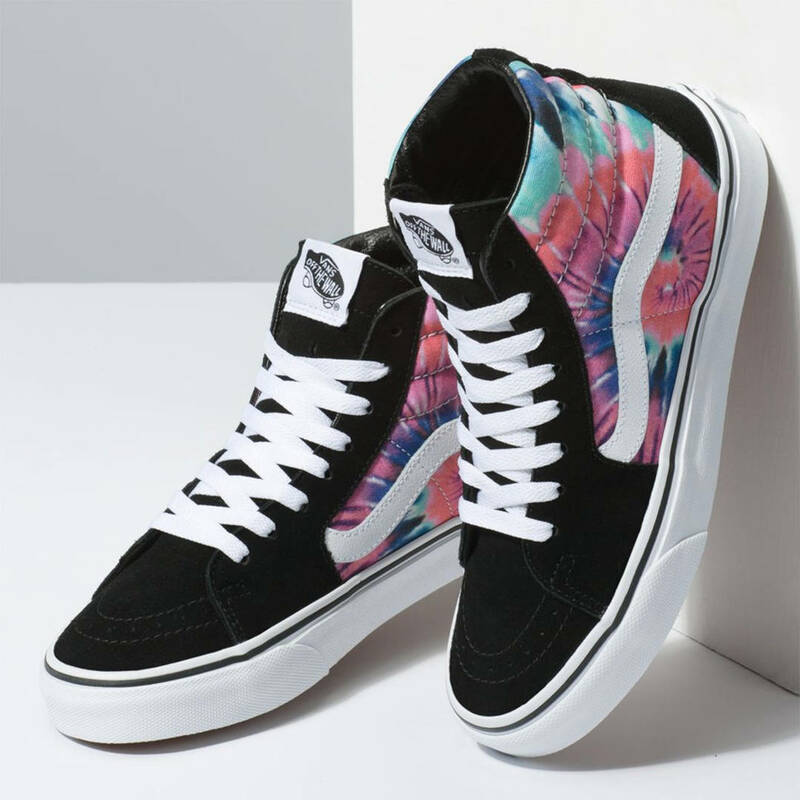 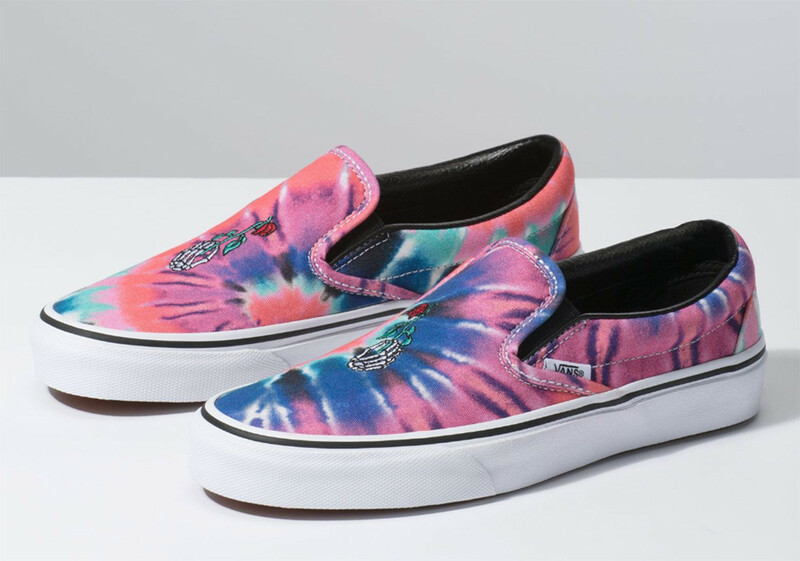 The Grateful Dead themed collection consists of the Vans Slip-On, Authentic and Sk8-Hi, each of which features the same pink and blue tinted tie-dye pattern. 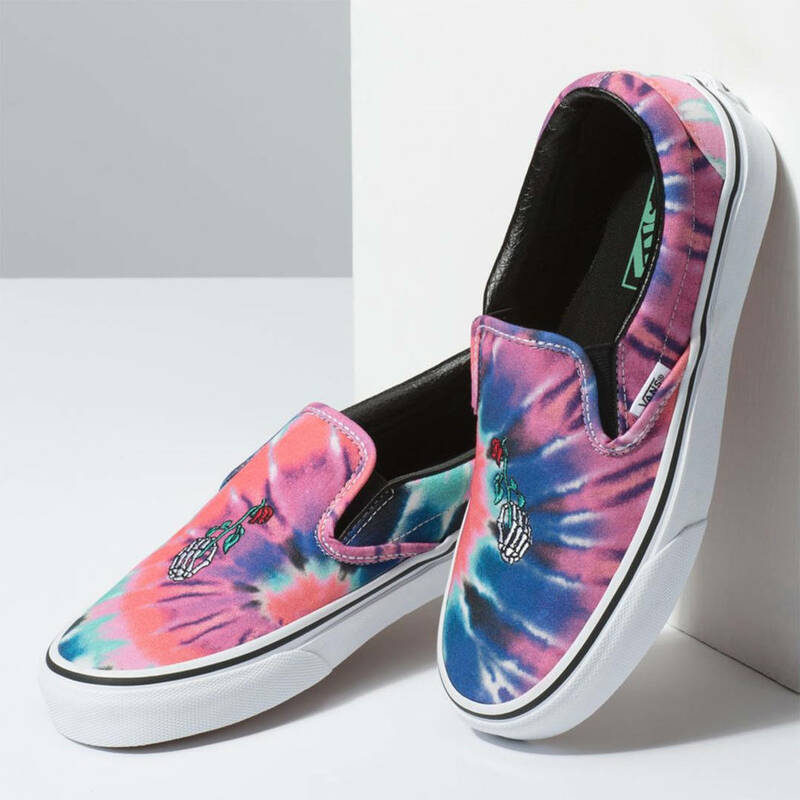 The Vans Slip-On, equipped with a rose-clutching skeleton hand logo, and Authentic silhouettes come completely covered in the eye-catching design. 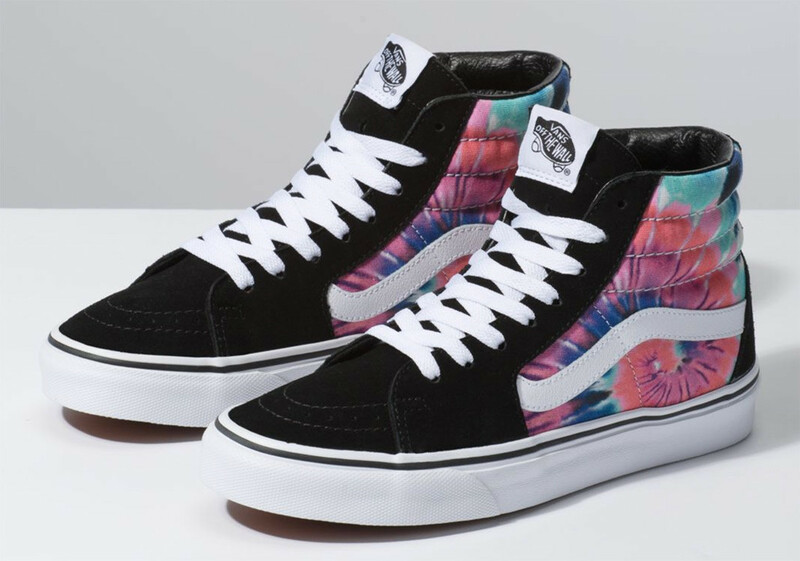 Scroll down for some additional images of the Grateful Dead inspired tie-dye pack.